Barbell Press Vs. Dumbbell Press For Chest: Which Is Better? 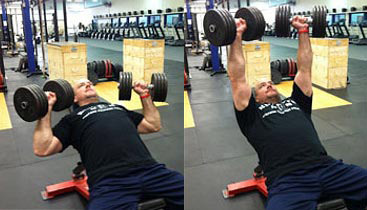 No Comments on BARBELL PRESS VS. DUMBBELL PRESS FOR CHEST: WHICH IS BETTER? If you’re looking to add as much raw size to your chest in the most efficient way possible, there’s no question that heavy presses are the way to go. Flye movements can certainly be included at the end of your chest workout for complete, well-rounded development, but heavy pressing movements with a barbell or dumbbells will always be the bread and butter of solid chest training. 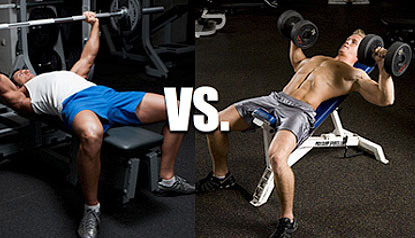 But which is a superior tool for achieving size gains in the fastest way possible: barbells or dumbbells? The standard barbell bench press has been a fundamental cornerstone in bodybuilding training routines for decades, and is often used as one of the key gauges for judging a lifter’s raw total body strength. Is the barbell bench press an effective exercise for building the pecs? Definitely. 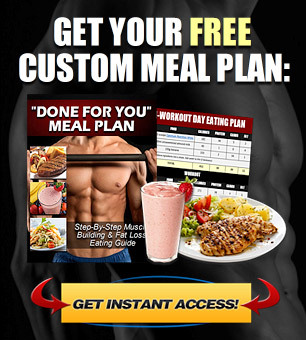 Can it be included in your overall training routine as one of your primary chest exercises? Sure. However, in this article I want to explain why the dumbbell is actually the superior choice if your goal is to maximize chest hypertrophy. 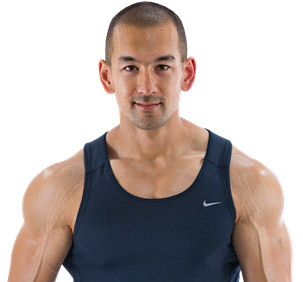 The primary function of the pecs is known as “horizontal adduction”, which essentially means to bring your upper arm across the front of your body. When performing a barbell press, the total amount of horizontal adduction you can achieve is minimized because your hands are locked to the bar and the arms are forced to travel in a straight up and down motion. Dumbbells, on the other hand, allow you to press in a natural arching movement that increases horizontal adduction and maximizes the total range of motion that the pec muscle moves through. The more tension you can apply to a given muscle across its full range of motion, the more overall stimulation and growth you can achieve. Whenever you perform any lift in the gym (or any movement throughout your day to day life), your body will always aim to take the most efficient path possible to get from point A to point B. Due to the way your central nervous system functions, most people will always be stronger on one side of their body in comparison to the other. If you’re right handed, this usually means your right side, and vice versa. Because barbell presses are a bilateral movement where both sides of the body must work together to move a single object, the stronger side will always compensate for the weaker side to a certain degree. With repeated workouts over the course of many weeks and months this can definitely become a problem, as one side of your chest (as well as your shoulders and triceps) may become measurably over-developed than the other. This not only creates an issue from an aesthetic perspective, but even more importantly, from a strength and stabilization perspective. Dumbbells solve this problem by allowing the body to work isolaterally, where each side must lift its own object independently without assistance from the other. As a result, you’ll achieve balanced muscle and strength development of your chest, shoulders and triceps across both sides of your body. If you’ve been training primarily with barbells for a reasonable length of time and have already noticed this problem to a degree, try switching exclusively to dumbbells for a period of time to level the imbalance out. The increased range of motion and balanced development that dumbbells offer are the two major advantages you’ll get from a pure muscle building perspective. 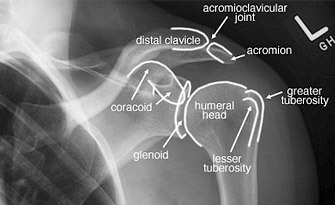 However, one added advantage as well is the decreased shoulder injury risk that dumbbells present. Since you’ll be able to position your hands in a more comfortable way and move your arms through a more natural arching motion (in addition to the fact that the overall load will be reduced), dumbbells place less stress on those all-too-delicate shoulder joints as well. The idea of injury prevention may not be at the forefront of your mind right now, but it should always be treated as a primary concern in your program if you want to achieve permanent, long lasting results. 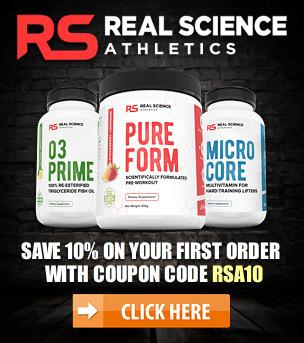 Your joints and connective tissues are the very foundation of every lift you perform, and if they end up being compromised, your entire training routine will be stopped dead in its tracks. Trust me, a serious injury is the absolute last thing you want (especially to your shoulders), and I can tell you this from firsthand experience. So, if muscular hypertrophy is your primary goal, dumbbells are going to be a superior choice to barbells because they offer an increased range of motion, balanced development across both sides of the body, and an overall decreased risk for injury. Some people will argue in favor of the barbell since it allows you to move a greater amount of total resistance. However, from a muscle building perspective, it is not the objective amount of weight that you lift that matters the most; it’s how much overall tension you can apply to the muscle you’re trying to target. Your pec muscles cannot experience the fact that you are pressing a 225 pound barbell in comparison to 90 pound dumbbells. All they experience and respond to is how much direct tension is being placed upon them. Although dumbbells will force you to use a lighter overall workload, the resulting tension on the pecs is still going to be greater for the reasons previously discussed. 1) A dumbbell press should be the first core movement in your chest training routine. Flat, decline and incline angles are all acceptable, though I would tend to favor the flat or decline angle due to its superior activation of the lower sternocostal fibers where the majority of your chest mass is located. Incline presses shift more emphasis to the smaller upper clavicular fibers. 2) A barbell press is not a necessity in a hypertrophy-based routine. If you want to include one after your dumbbell presses that’s fine, but I don’t believe you’ll be missing anything from a muscle building perspective if you simply exclude them altogether.